No bake recipes are a great way to save on time and improvise on time- tested recipes. It’s also an excellent way to show off one’s baking skills without one having to sweat and slave in front of the oven. The list below mentions some easy to make no- bake recipes for you to try at home. Strawberries and cream can never go wrong – they are married for life and fresh strawberry mousse is a marriage made in heaven. This heavenly concoction is delightfully refreshing and serves as a perfect dessert for those hot summer evenings. 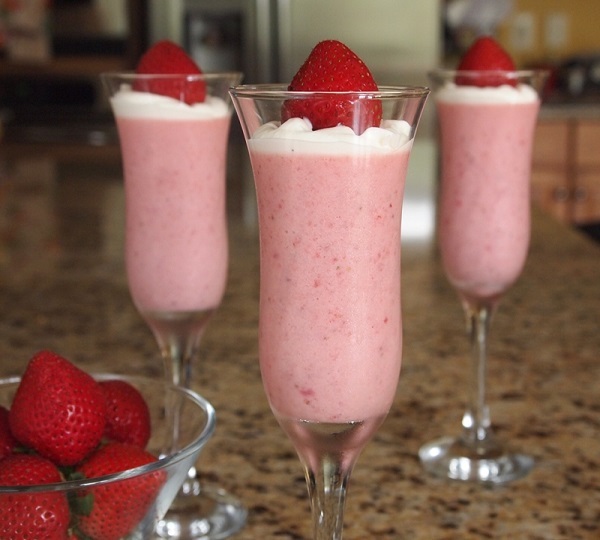 Prepare this delectable mousse fresh or make in advance. It tastes equally good either way. But make sure to make in large quantities as your guests won’t be satisfied with just one bowl. Get the recipe here. Want your quota of cookies even when the mercury is soaring. Well, you can still make those scrumptious cookies on a hot afternoon without having to sweat in front of an oven. Play around a bit with the ingredients and come up with your own creations. 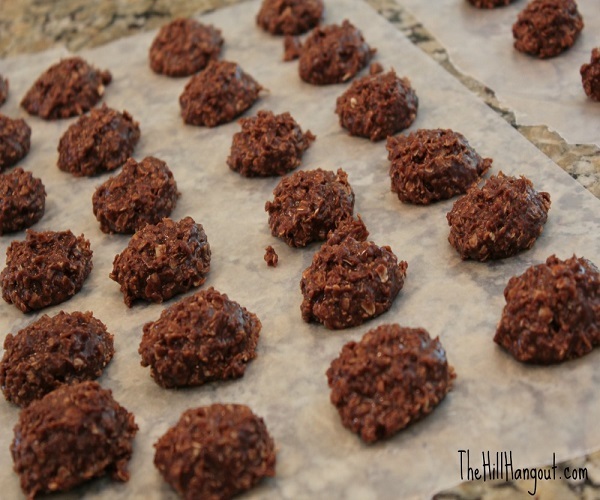 These no-bake cookies are so delicious and they take so little time that you might end up making more batches than you want. Get the recipe here. No bake chewy granola bars are simply delicious. 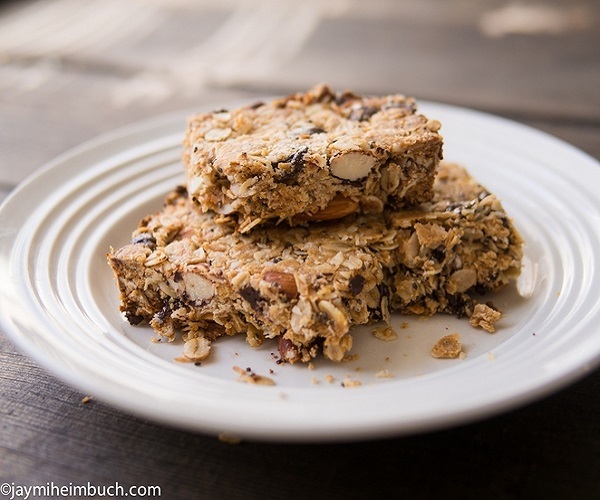 Make your own granola bar at home giving a skip to the store bought ones. 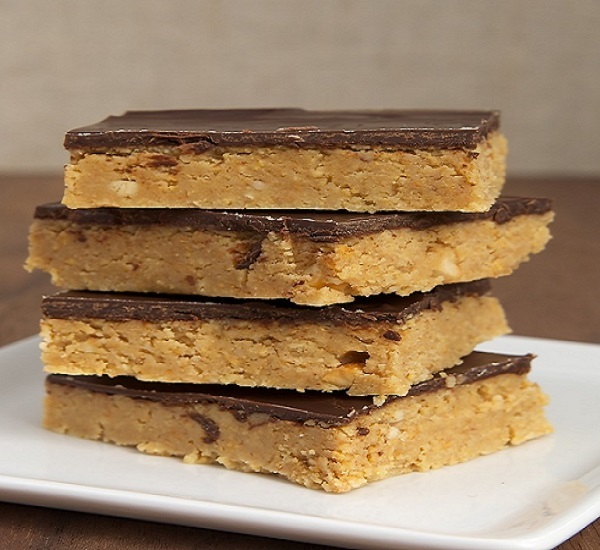 These absolutely nutritious bars make for a delightfully quick snack any time of the day. The fiber keeps you full and the proteins and healthy fats meet your dietary requirements. Dates in place of refined sugar make it a wholesome food. Get the recipe here. Got a cheesecake craving in the middle of a busy hot day but don’t want to bake one? Well, help is right here as this no-bake cheesecake meets all your cheesy fantasies. 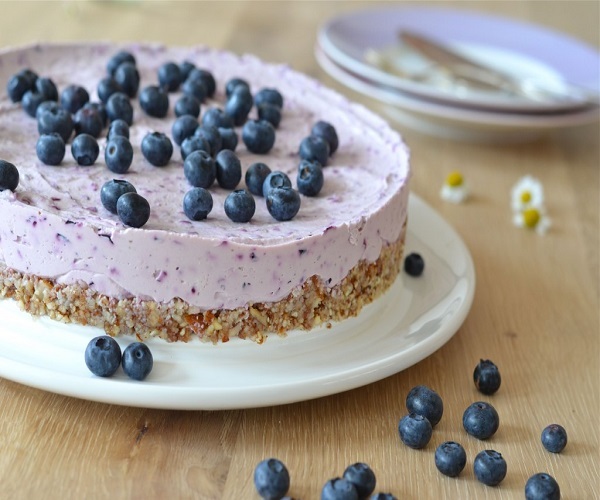 Go imaginative on the ingredients and add a healthy dose of nuts and berries to the base as well as to the topping to keep those guilt pangs away. Get the recipe here. Cookies are passé, have you ever thought of serving your guest cookie dough. 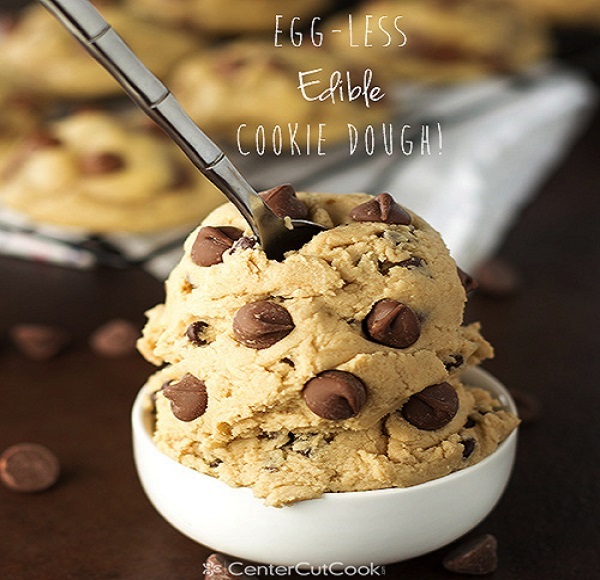 This simple easy to make cookie dough can stand on its own right, yet it is versatile enough to be added to other stuff. Serve these bite-sizes beauties to your guests or top your ice-cream with a wonderfully homemade scoop of cookie dough. Get the recipe here. Chocolates and peanuts make a deadly combination. Peanut butter lovers will absolutely love this recipe. Imagine a thick slab of peanut butter slathered all over with melted chocolate. This easy no-bake recipe involves minimal ingredients which can be assembled together in a jiffy. The simplicity of this yum recipe will have you going back to it again and again. Get the recipe here. 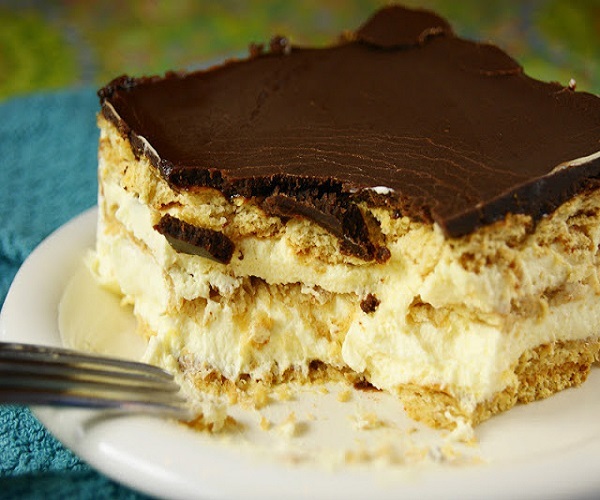 Imagine layers upon layers of creamy pudding interspersed with graham crackers and topped off by a thick layer of chocolate. How tempting is that. This is what is called ultimate soul food. The best part about it is that it hardly takes any time to prepare while the hardest part is actually to wait for the dessert to set. Get the recipe here. 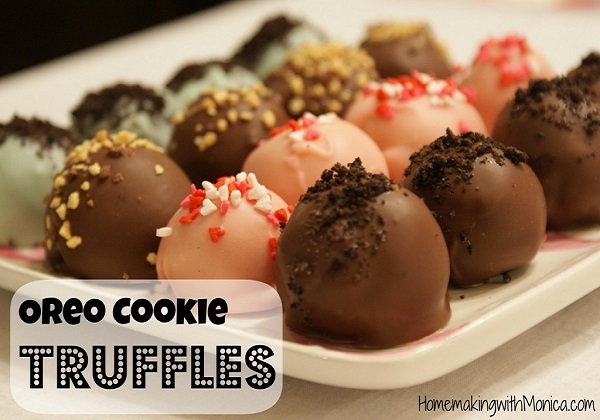 Have you ever tried Oreo truffles? Try it once and we are sure you the next time you come across an Oreo packet you will have images of Oreo truffles swimming in your mind. This is a very quick and easy recipe involving the use of some basic ingredients. Have your kids coat the balls in the rich chocolate mixture – they would simply love it. Get the recipe here. 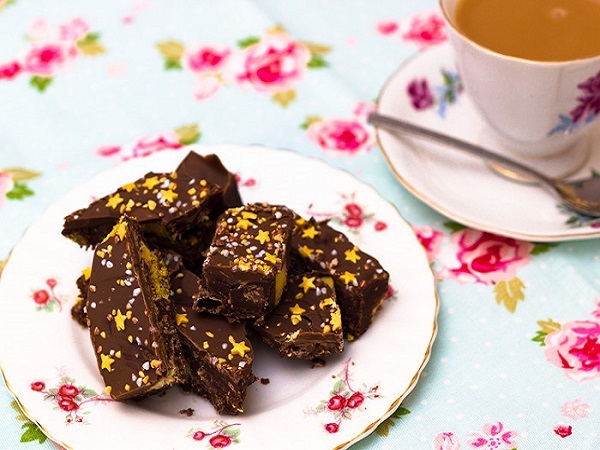 Also known as tiffin cake this is probably the easiest and simplest cake to make as there is absolutely no baking involved. All you have to do is simply mix a few ingredients, pat them into a cake tin and put it into the refrigerator to set. That’s it, remove it after an hour or two and you would find the most delicious, moist and yummiest cake ever. Take a bite of this sinful delight and we guarantee you will be sold for life. Get the recipe here. Brownies generally do not fall in the healthy category but what if we gave you a brownie recipe which is not only super-delicious but also extremely nutritious. Wouldn’t you simply jump at the idea? 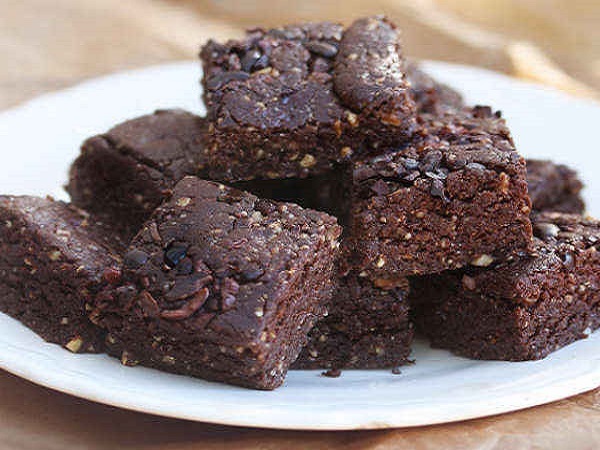 Well, these brownies are probably one of the healthiest desserts you could ever have, packed as they are with super healthy dates and walnuts. Get the recipe here.